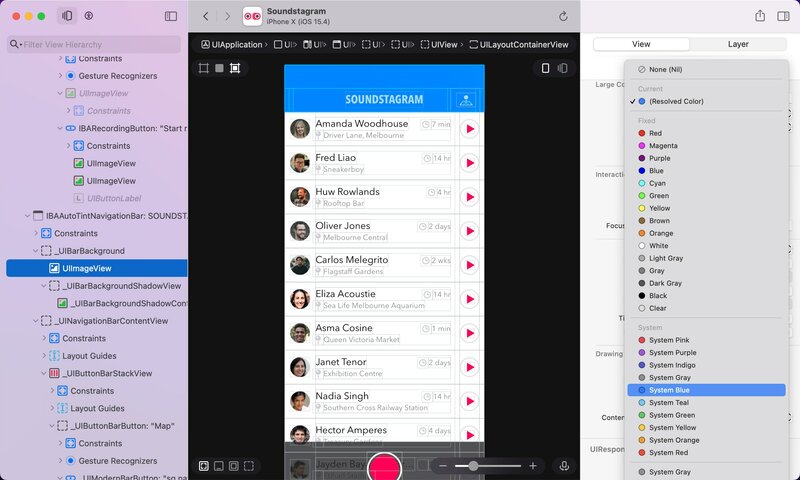 Reveal uses Scene Kit to show your application's view hierarchy in a whole new light. Rotate, zoom and navigate your application to solve difficult problems in seconds. Edit and modify views in your running application to see the effect immediately. No more recompiling to test simple visual changes. With detailed custom inspectors for a wide range of UIKit classes you'll be able to see and edit more properties than any other tool. Get your head around unfamiliar code. Reveal helps you to easily identify which classes implement which views. Find and discover relationships between views and constraints directly on the canvas. Reveal highlights views and constraints affected by common Auto Layout issues, helping you to fix layout problems faster. Quickly edit or navigate to constraints that affect a view's layout. See constraints owned by a view in the outline, and identify those created by the system. Make complex applications easier to understand by collapsing parts of the view hierarchy. View hierarchies can get complex. Double click a view to focus on it, and all its subviews. Tailor the amount of information displayed for the task at hand. 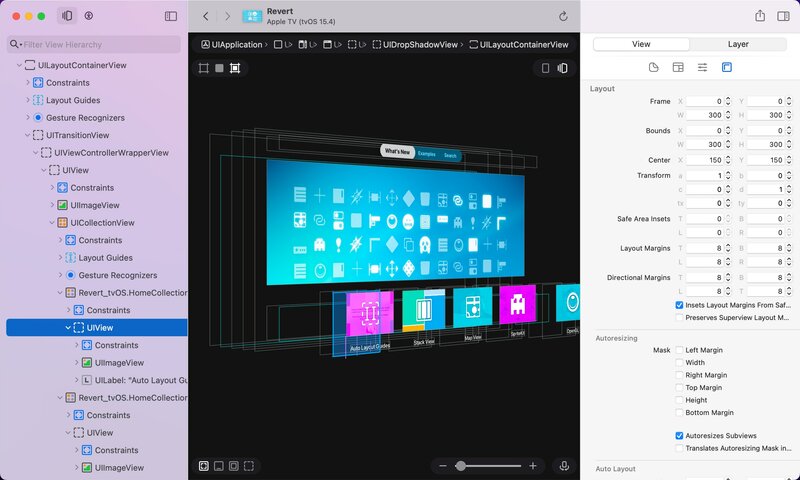 Toggle the display of hidden views, constraints, wireframes and content. Filter your view hierarchy for specific attributes such as classes, accessibility information, memory addresses and more. 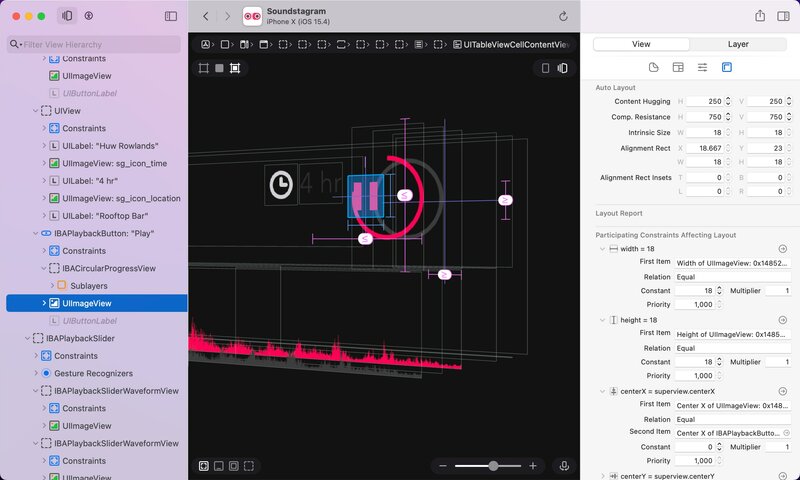 Seamlessly inspect tvOS apps using the same powerful tools you use for iOS apps. Inspect your App's Extensions, and debug issues that even Xcode can't see. 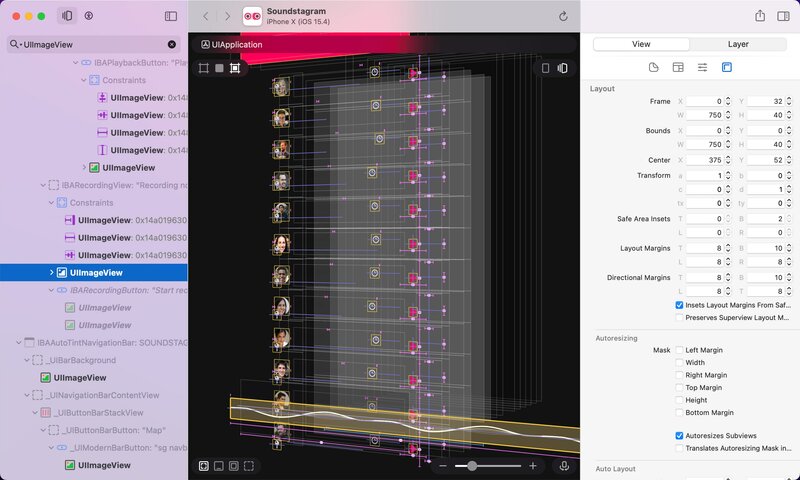 View and edit detailed layout properties in the dedicated layout inspector. Share snapshots with your team or use them as point-in-time reference during development.